When Alan and I traveled to the North Rim Black Canyon of the Gunnison (official website) near Crawford, Colorado, we found isolation, natural beauty and a deep gorge that’s every bit as impressive as the Grand Canyon. A scenic drive with six dramatic overlooks offers numerous photographic opportunities. Sharp-eyed visitors might spot an expert climber traversing the steep routes along the canyon walls. Hiking trails range from short nature walks to longer treks. At the ranger station, we asked the ranger’s advice for moderate day hikes. Deadhorse trail, his recommendation, proved to be the perfect choice. 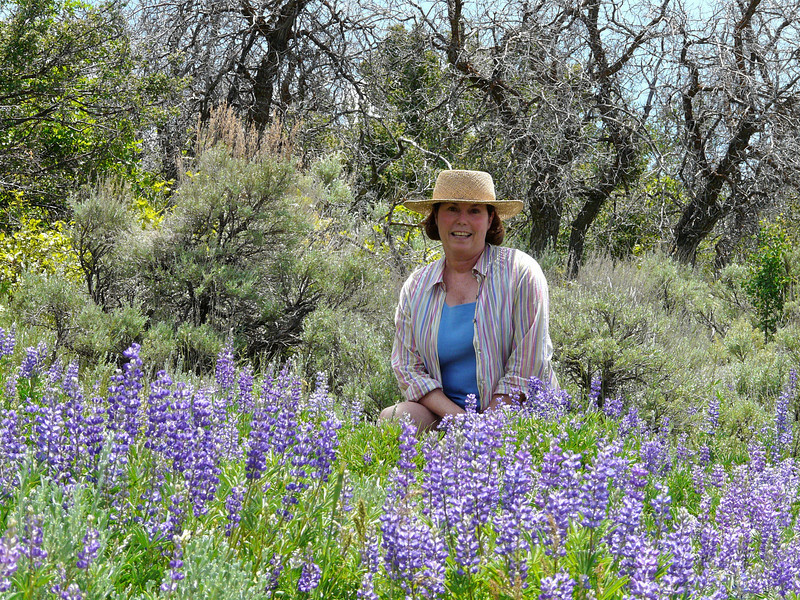 The 5-mile round trip hike took us through high desert vegetation decorated with summer wildflowers. The trail followed rolling terrain to the canyon’s edge where we could hear the roar from the Gunnison River as it rushed through the gorge. For overnight visitors, a pinyon-pine shaded campground offers 13 sites on a first come, first serve basis. Since I prefer a little luxury mixed in with my adventure, Alan and I stayed at LeRoux Creek Inn in nearby Hotchkiss, Colorado. Sipping a glass of Chambourcin on their deck is my idea of relaxing after an adventure-filled day. 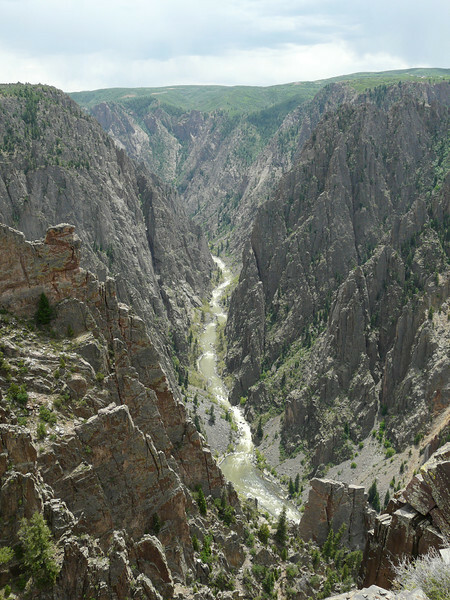 But, we’ve only scratched the surface at Black Canyon of the Gunnison. Next time, we’ll travel to the South Rim, near Montrose, the park’s major entrance. Here, a rim drive with 12 overlooks provides another view of the canyon. Plus, East Portal Road, a steep drive filled with curves, accesses the Gunnison River. Planning a National Park trip? Start with our National Park Travel Planner. Please note, the road to the North Rim is closed during winter but the South Rim remains open throughout the year. 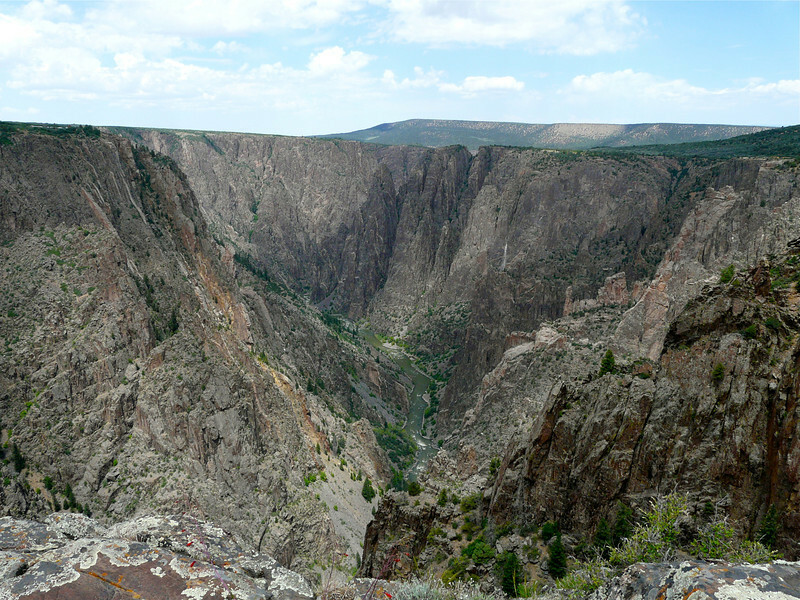 Have you visited Black Canyon of the Gunnison? Join the conversation at the My Itchy Travel Feet page on Facebook or send us an email to ask a question or share your experience.